Protective skirt and pockets for Waouuh 390 trampoline. 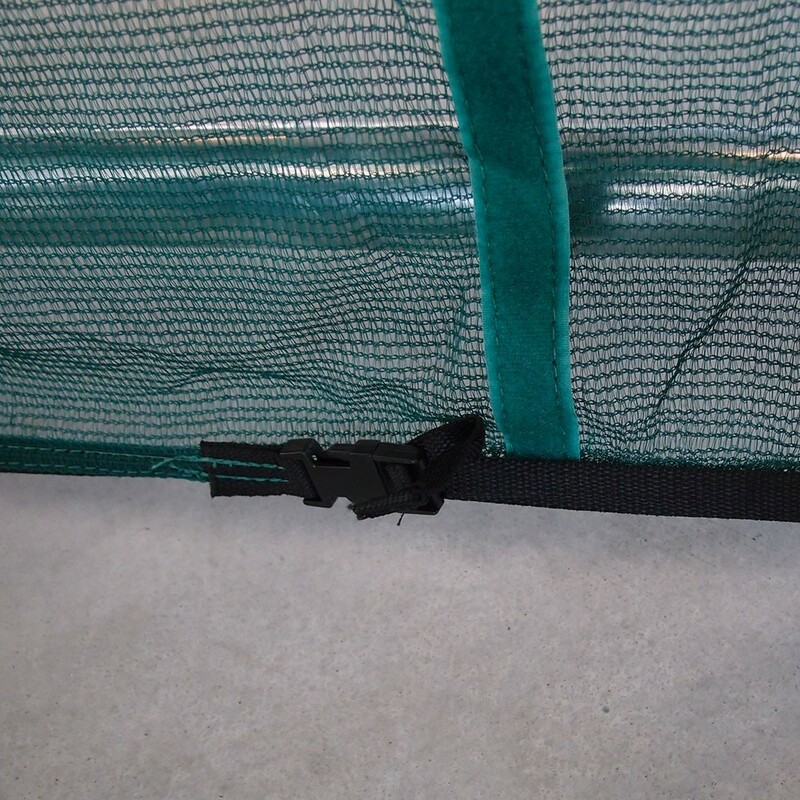 This protective skirt is used to encircle the base of your Waouuh 390 trampoline, to prevent any passage under the trampoline. It is easy for young children and pets to hide under the trampoline, to play or just to get out of the way. However, the flexibility of the jumping pad means that it is very dangerous to hide beneath the trampoline when it is in use. Therefore the safety skirt will allow you to protect your children from any risk and make your garden trampoline even safer. - It is always good to check that no one is under the trampoline before using it. The netting of this skirt is see through, allowing you to check that there is no danger for you or for them. - Equipped with large storage pockets, this safety skirt not only makes your trampoline safer, but also becomes a very useful accessory. It has 5 large pockets where you can store objects and clothes before getting on the trampoline. You can also put your shoes or snacks, telephones and keys in there. This makes sure that nothing falls out of your pockets whilst you are jumping! 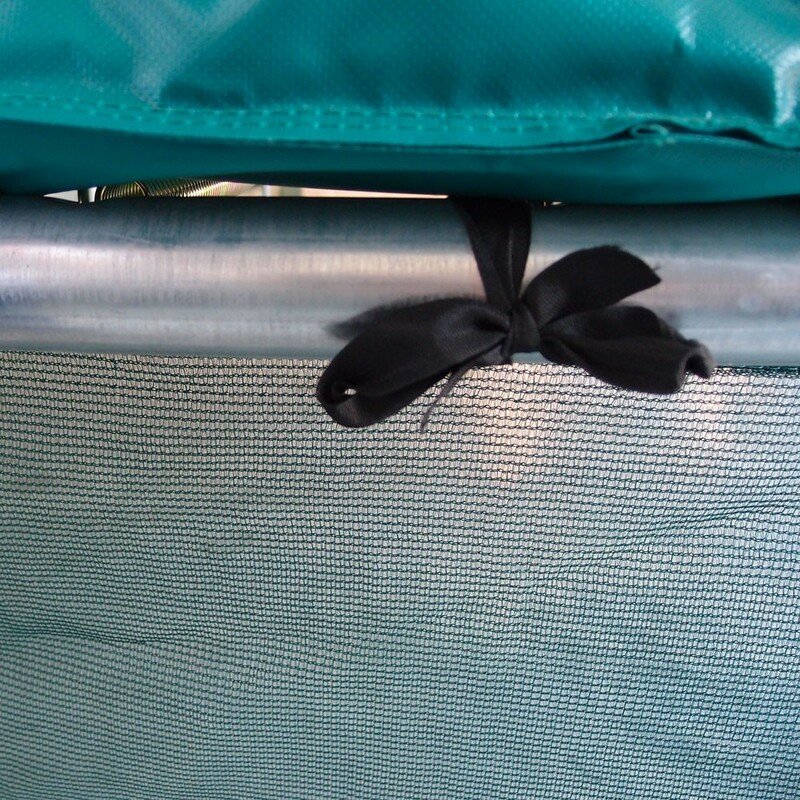 - To attach the protective skirt, all you need to do is, attach it to the steel framework of your trampoline. Metal pegs are then used to fix it to the ground. 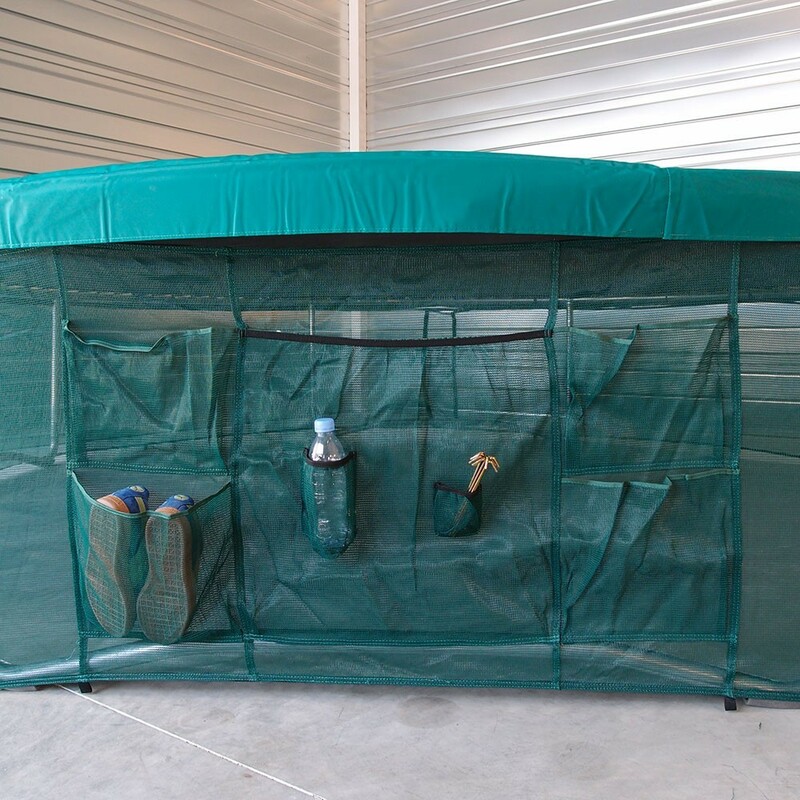 If you wish to install an enclosure, it can be done once the trampoline and safety skirt are in place. - This skirt is compatible with the Waouuh 3.90 m trampoline.